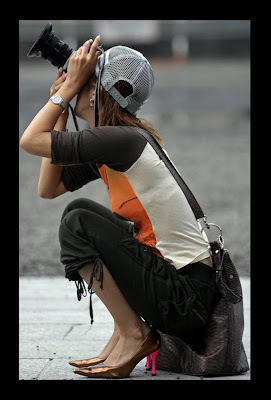 Another basic principle of photography is composition, or technical development of the subject in the camera frame. The composition of a good plan is directly related to the angle at which the photographer takes the photo. With a camera angle and composition foreseen, a picture can be drawn into the eye of the viewer, add meaning to add an image or impression of movement and dynamism to the scene. If the photographer wants the viewer to focus on some aspect of the shooting, he may place the subject in a certain area of the image. For example, by being higher in part gives the subject a commanding presence on the viewer. On the other hand, putting the bottom image tends to make the subject more tractable and possibly more mysterious to the viewer's eye is critical. In drawing the viewer's eye to a specific part of an image, the photographer also invests a sense of special significance to his shot. Depending on the subject photographed location in the frame can make it appear more mysterious, energetic, consistent, and even fascinating. Another set of concepts of photography involves the basic skills used by a photographer to display a dynamic image. For example, a blow with the subject directly supervised in the community can make the viewer feel like it's falling into the subject. An example of this would be a picture of someone looking through a hollow tree trunk while the photographer is at the other end of the newspaper to take a photo of the person's face. In this plan, the vision of the viewer moves through the tunnel, shooting immediately to the person's face. Although not as overtly dynamic action scenes, this kind of concept composition adds a subtle sense of movement in the image.